Getting a good haircut can be life-changing. Not only can it banish all your bad hair days, but your new added layers can sky rocket your self-confidence, leaving you feeling like you can take on the world for weeks to come. On the other hand, get the wrong haircut and you’ll feel more inclined to cry for several days following your appointment. 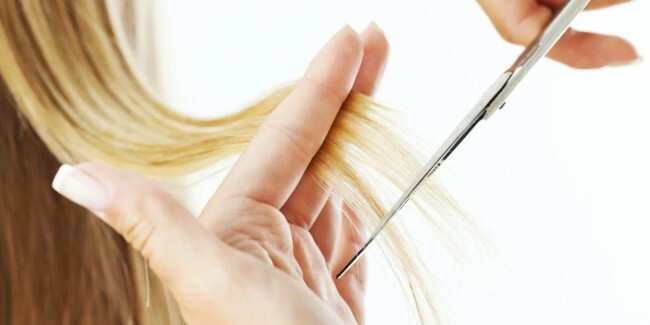 To avoid a meltdown, hair guru Mark Townsend shared a few things to take into consideration before actually getting a haircut. 1. 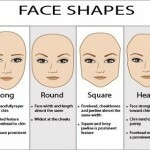 Know your face shape. Once you know, you can figure out what cut will look best on you. 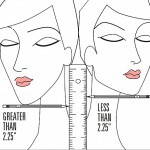 Townsend recommends determining your face shape by checking your jawline — if your jawline juts out more toward the sides, you have a square face (think Olivia Wilde); if your jawline is rounded from your chin to your ears, you have a round face (think Christina Ricci); if your chin is somewhat pointy and your jaw slightly goes up at an angle, you have an oval (think Sarah Jessica Parker); and if your chin is the pointiest part of your face and your jawline curves in, you have a heart-shaped face (think Reese Witherspoon) — and then drawing that specific shape on a piece of paper. Your goal is for your face to look more oval, the most flattering shape, so after you’ve drawn a circle, heart, or square, draw the hairstyle you want inside of the shape, and see if it leaves you with an oval in the center. If it does, then it will suit your face. (This isn’t hard to do; if you can draw stick figures, you’re golden.) 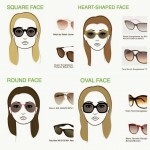 Already have an oval face? Congratulations, you can pull off any style! 2. Know your hair texture. If you have coarse, curly hair, you can’t bring in a picture of Blake Lively and expect to walk out of the salon with her hair texture, because no haircut will turn your texture into wash-and-go waves like hers. Same with the opposite texture: If you have thin, fine hair, you won’t ever have Beyoncé’s texture and volume. Instead, find celebs who look like they have your hair texture, and pin or tear out pictures of them to show your stylist. Any time you’re pulling haircut inspiration, know that the celebrity’s hair you’re obsessed with is probably full of extensions, that they have a hair stylist spending hours doing their hair, and that no one is going to be following you around with a wind machine. So, be realistic when you walk into the salon. 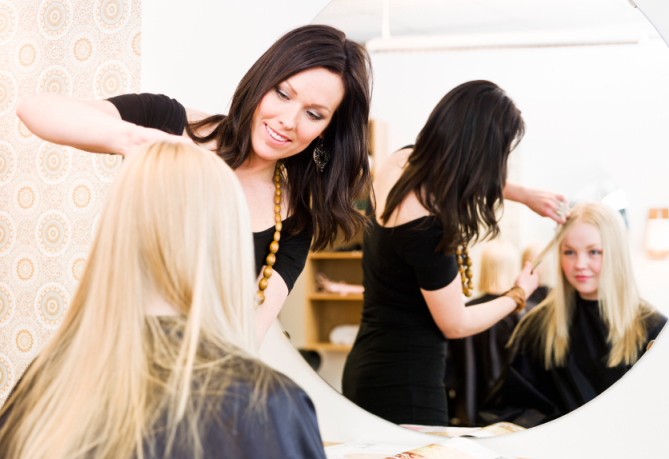 Talk with your stylist about what is possible for you, whether it’s getting and keeping up with extensions, cutting your hair into a style you can actually maintain, and achieving a style that will perfectly blow in the wind when you walk outside. If you know you’re not going to really have time to do your hair, then you’ll want to consider that and go for a style that will still look great even if you just wash and go (think Alexa Chung’s perfectly undone textured hair). If you’re the girl who works styling your hair into your schedule, then go for a more high-maintenance hairstyle like Gisele’s magical layered ‘do. 5. Make sure you’re actually ready for a haircut. Sure, if it’s a trim, no biggie. But once you lop off 12 inches, there is no gluing it back on. So, if you’ve had super long hair below your breasts for your entire life but are considering a bob or even a pixie, think about it for a month before you make a spontaneous decision. If it’s the only thing you wake up and go to bed thinking about, you’re ready.